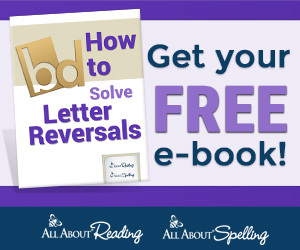 Who loves super fun and informative books? Maybe the better question is who doesn't! How to Survive as a Shark is one of those awesome books. The informational story is accompanied by great little tidbits that are stuffed with even more great shark trivia. I did receive a free copy in exchange for a review, but we loved it so much we made a whole game out of it! The book alone has so much scientific information, like the fact that sharks must never stop swimming. 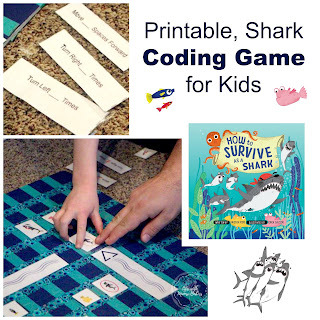 After you have learned all about sharks you can extend the STEM learning with our do-it-yourself coding game. Coding without a computer is a great way to get kids thinking in a logical way. 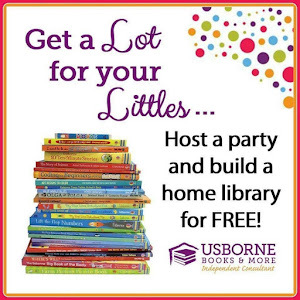 It gets them started with a skill that is in ever growing demand too. 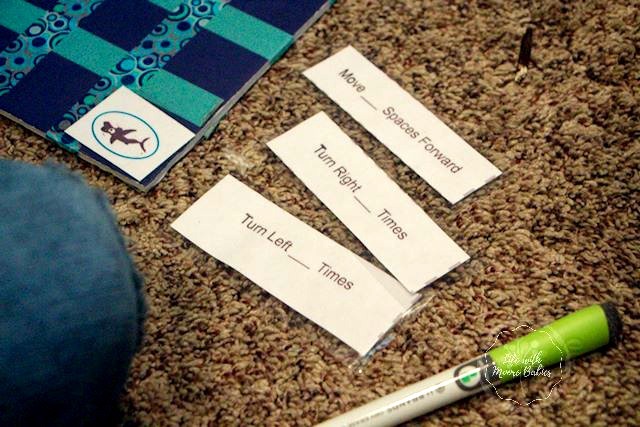 Plus the game format is fun for kids! Really How to Survive as a Shark (the game) can be used for kids as young as kindergarten and then the difficulty can be increased for kids upwards of 13 years! First you need to use your washi tape to form squares on the foam board. I chose blue foam board and coordinating washi tape for a watery feel. You want squares approximately 1.5 inches across to fit the printable pieces. I really didn't measure mine, but I tried to keep them fairly even. Next print out all the printable pieces and cut. 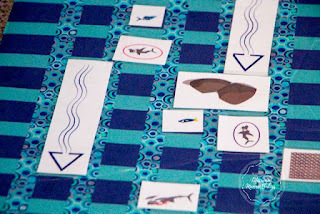 You should have shark playing pieces, fish for food, obstacles (rocks, nets, big sharks), currents, and command cards. Now, laminate all the pieces and cut again. Laminating the pieces allows you to reuse them over and over plus since you write some of your moves, it can help conserve paper. After that you are ready to set up the game board. One of the best parts about this game is that you can make the game different each time simply by rearranging the obstacles as well as the food. This game can be played individually or with multiple players. It can also be adjusted to make it appropriate for a variety of ages. Start by placing obstacles and food on the board. There is no right place for them, and you can use as few or as many as you like depending on how difficult you want the game. Each player can choose their playing piece (sharks with the colored ovals around them). They will also each need a set of coding commands and a dry erase marker. Players can start all on the same side or from the corners, and this can be changed each time as well. Now you need a goal. My kids enjoyed playing with the objective of collecting the most fish, but there are certainly other ways to play. No matter your goal, be sure to avoid the obstacles, so your shark can keep on swimming! After you know how many players you have and what their goal is you can consult the rules and begin to play. 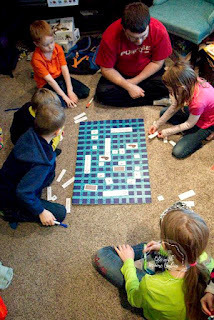 The rules explain how the pieces behave in the game, and they also list ways you can change the game to make it easier or harder to fit your little coders. 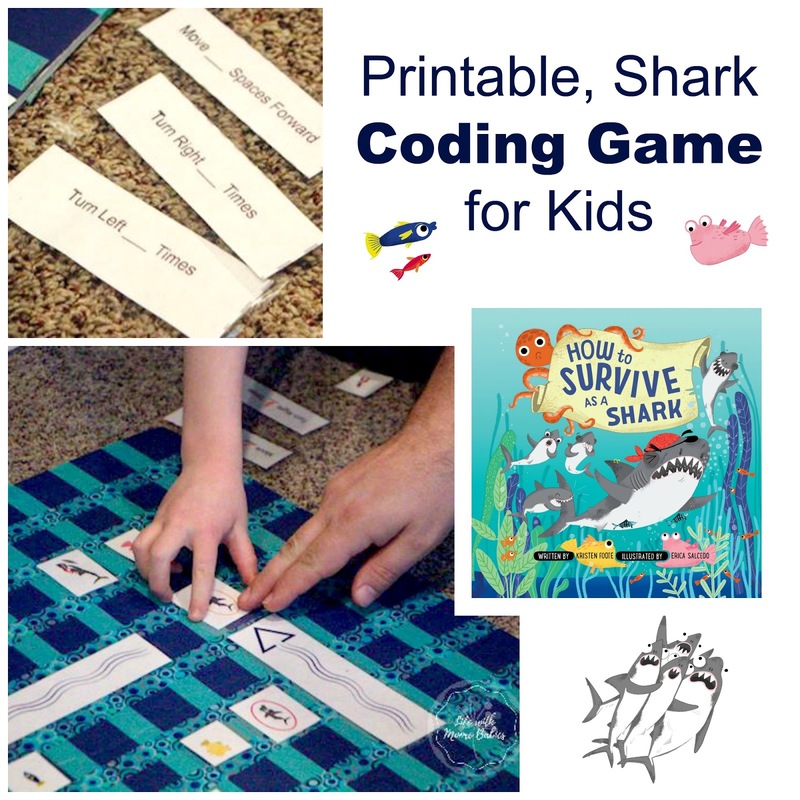 Eat the fish, avoid the obstacles, and get more STEM learning in with this do-it-yourself coding game. Whatever you do though, don't stop swimming!